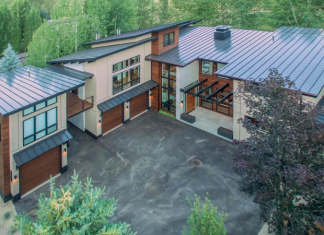 This newly built contemporary style home is located at 154 Irene Street in Ketchum, Idaho and is situated on 1/4 of an acre of land. 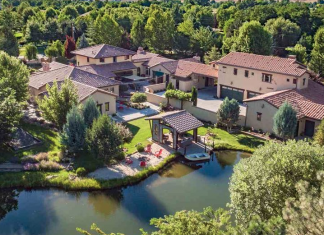 This Italian inspired estate is located at 2200 N Ballantyne Lane in Eagle, Idaho and is situated on 2.1 acres of land. 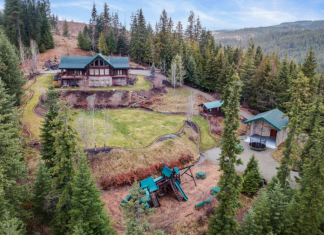 This lakefront stone & stucco home is located at 574 E Laguna Shore Lane in Eagle, Idaho and is situated on 1.6 acres of land. This log & stone home is located at 122 Makridge Lane in Kingston, Idaho and is situated on over 8 acres of land. 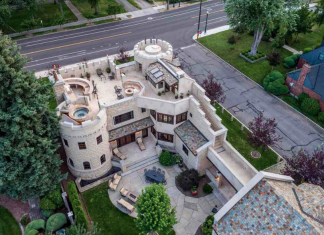 This castle-like home is located at 1700 E Warm Springs Avenue in Boise, Idaho and is situated on 1/3 of an acre of land. 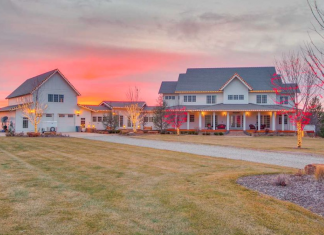 This Colonial style home is located at 10707 W Colton Lane in Eagle, Idaho and is situated on 10 acres of land.